Who loves BLT’s? 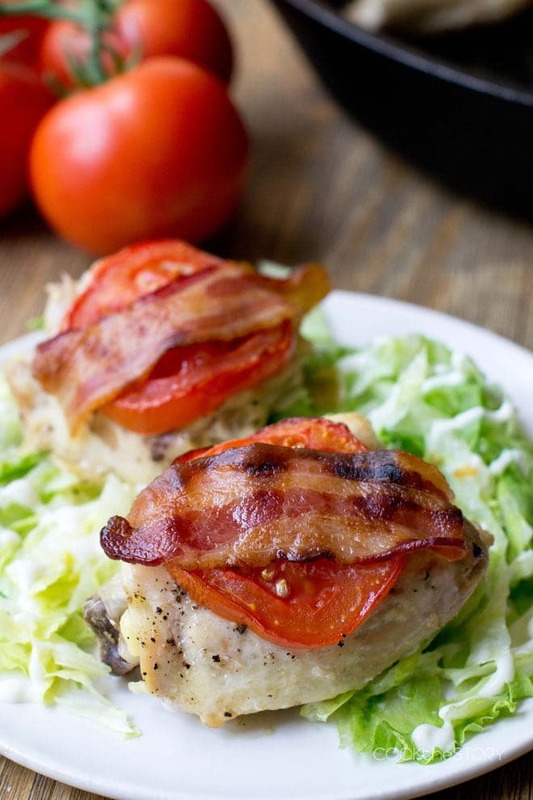 This BLT Chicken recipe takes those classic flavors and brings them to the dinner table. 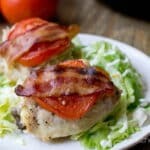 I love a good BLT for breakfast, lunch or even dinner. 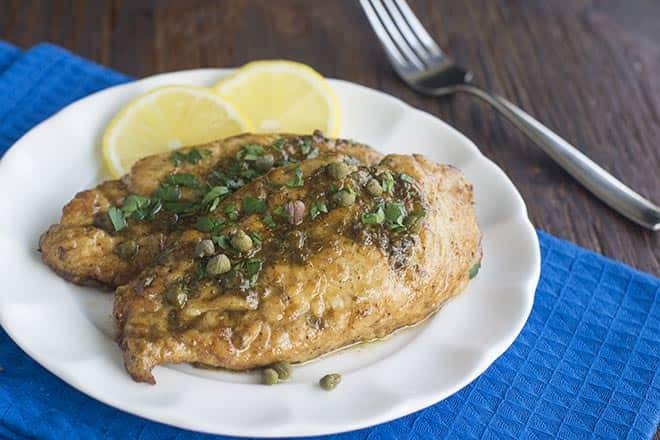 That love inspired today’s recipe. Like, what if I took my favorite sandwich’s ingredients turned them into a tasty chicken recipe? 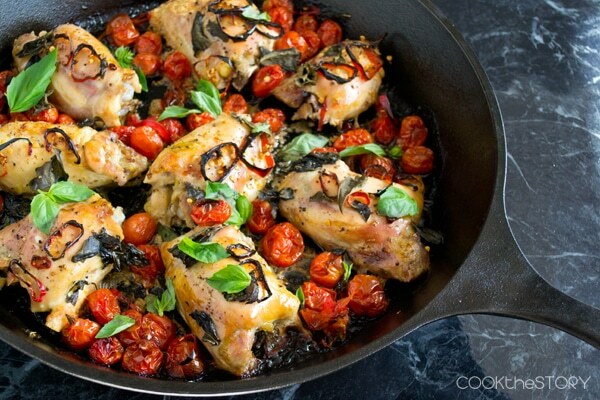 To make the this deliciously easy dinner, put chicken thighs on a rimmed baking sheet, like this. 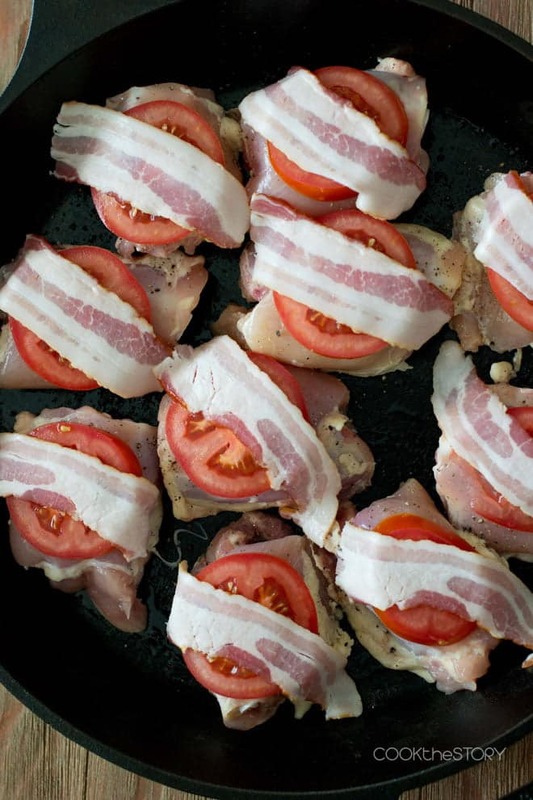 Top each with a slice of tomato and half of a piece of bacon. Then into a 425°F oven they go. In the time that chicken cooks through, the bacon gets crispy. 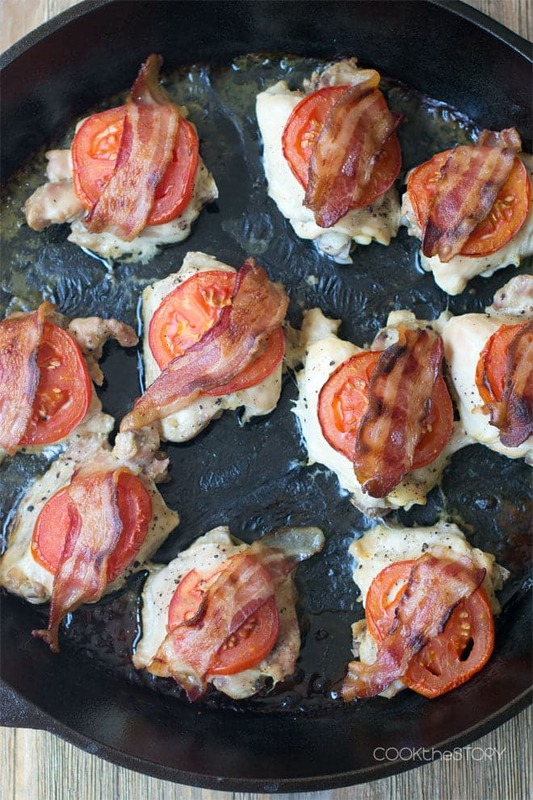 And you know it’s dripping bacony goodness onto the tomato and chicken underneath. How perfect is that? OK so what about the L part of the BLT? And where’s the mayo??? You can’t have a BLT dinner without mayonnaise! While the chicken is cooking, chop up some lettuce. Put that on plates. Scoop some mayonnaise into a zip-top bag and cut off one little corner of the bag. Drizzle the mayo over the lettuce. Top the lettuce and mayonnaise with your bacony chicken when ready and dig in. Like my favorite sandwich but you eat it with a fork and knife. Lightly oil a rimmed baking sheet. Put in chicken thighs. Season lightly with salt and pepper. Top each with a tomato slice and half slice of bacon. 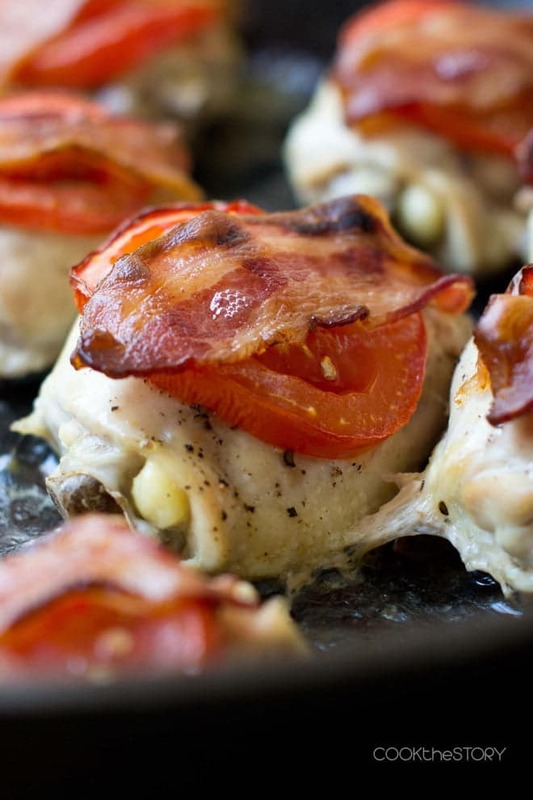 Bake for 40-45 minutes, until bacon is crisp and chicken is cooked through. Meanwhile, divide lettuce between dinner plates. Put mayonnaise in a zip-top bag. Cut a tiny corner off of the bag. Drizzle over lettuce. Top with the cooked chicken. Disclosure: This post contains an Amazon affiliate link meaning that if you click on it and buy something I will receive a small commission at no additional charge to you. All opinions are really mine and are honest always. This post originally appeared in September, 2015 and was revised and republished in September, 2017.
a good “go to” main course for weeknights. 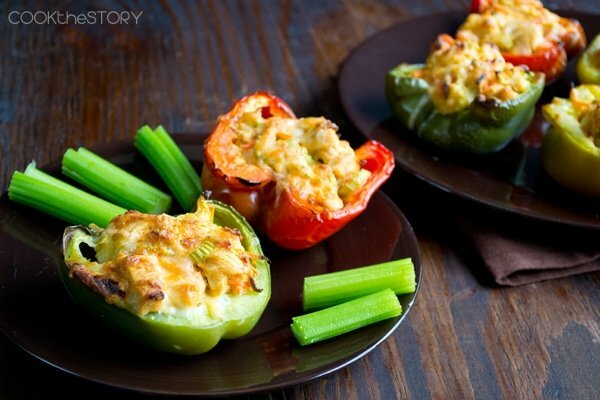 Very easy to throw together but oh so yummy. And I see I spelled RECIPES wrong, sorry about that! Hi Christine. 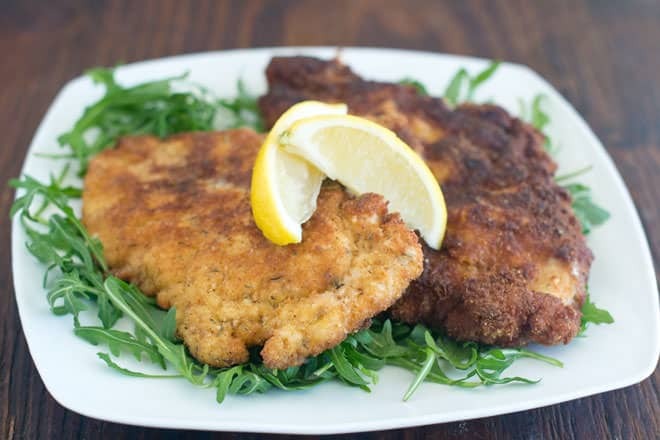 Just letting you know I featured this recipe in my latest round-up of Deliciously Healthy Low-Carb Recieps. Hope a lot of my readers will come over here and check it out! Thanks Kalyn! I’ve scheduled some sharing for the post. What a great round up! I’m honored to be included.